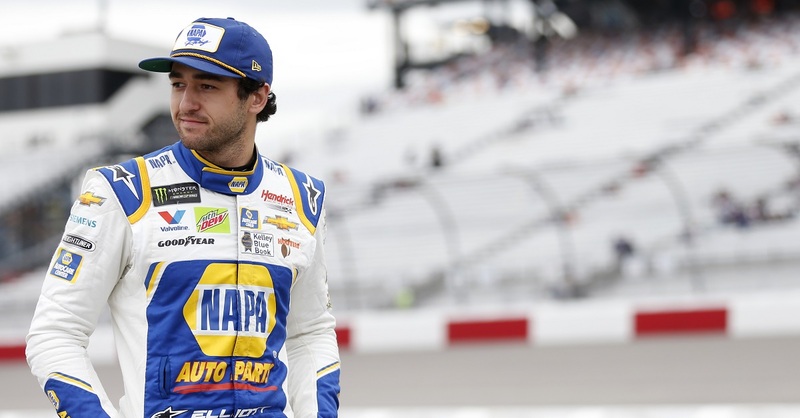 RICHMOND, Va. (April 26, 2014) – Chase Elliott finished second in Friday night’s rain-delayed ToyotaCare 250 at Richmond International Raceway to record his seventh consecutive top-10 finish of his rookie NASCAR Nationwide Series season. The finish keeps the No. 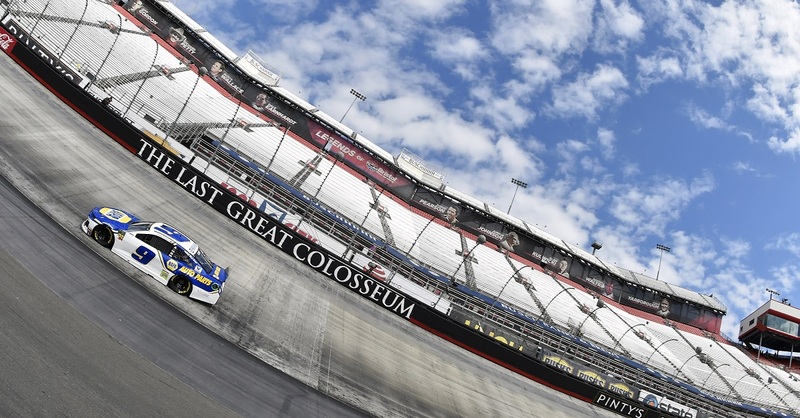 9 NAPA AUTO PARTS team in the NNS driver points lead, 19 points ahead of teammate Regan Smith. 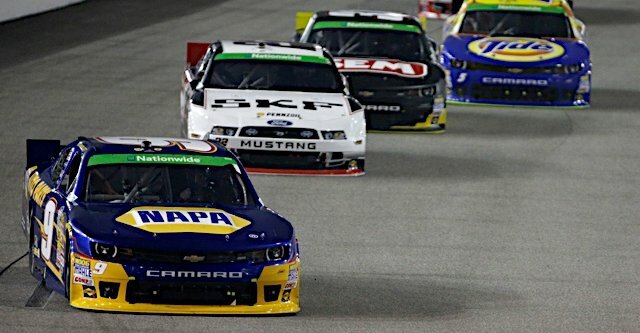 Elliott battled a tight NAPA race car most of the night. 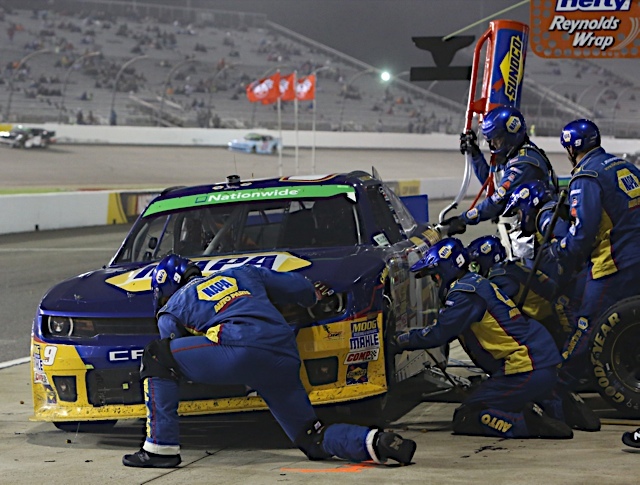 Following the competition caution on lap 40 when crew chief Greg Ives made an air pressure and chassis adjustment, the NAPA KNOW HOW machine came to life, propelling Elliott to second place. 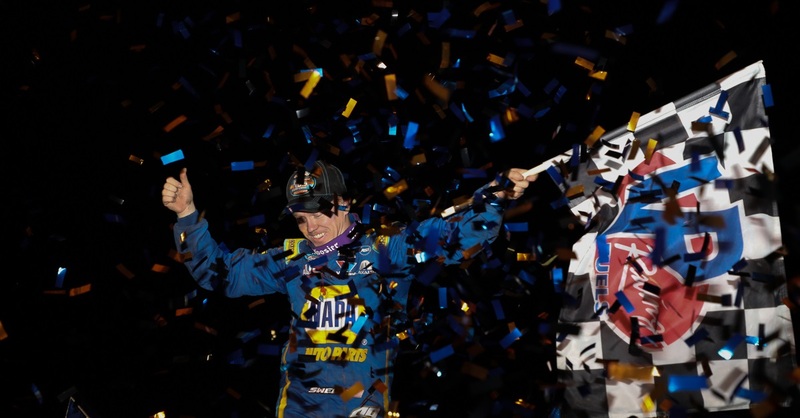 Elliott kept a stronghold on second place through multiple cautions and restarts, but never could pass his dominant teammate, Kevin Harvick, who became the all-time laps leader in the history of Richmond during this race. The final restart came with 47 laps to go with Harvick jumping out to an early lead that gradually increased as laps diminished. Elliott found himself navigating seamlessly through lapped traffic, but was never able to close the gap on Harvick’s No. 5 Chevrolet. Harvick led 202 of 250 laps on the night, including the final 117, en route to the victory. 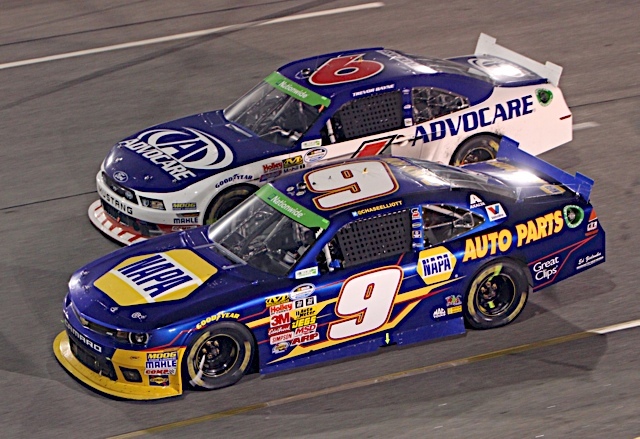 Elliott finished second to give JR Motorsports its first 1-2 finish in company history. Kyle Busch, Kyle Larson and pole-sitter Brian Scott rounded out the top five. Harvick’s win gave JR Motorsports its third consecutive victory and fourth of the season. It ties the company’s high-water mark of wins in a season, equaling the number achieved in both 2008 and 2009. 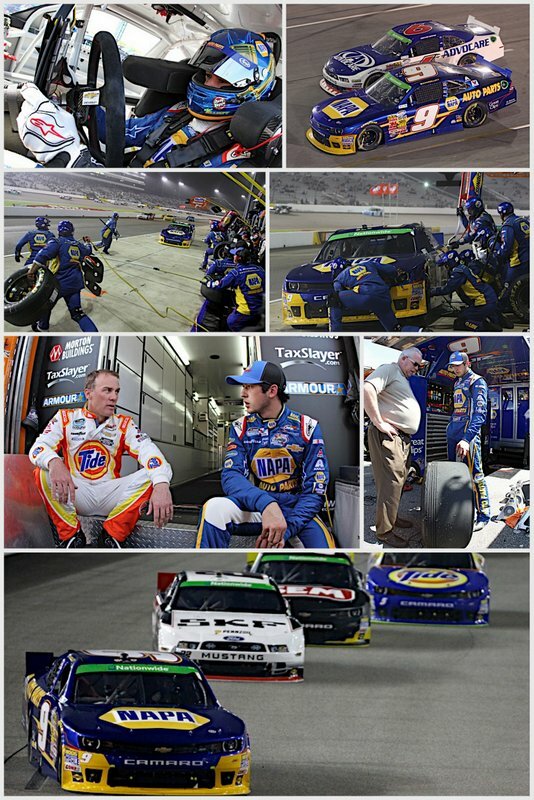 JR Motorsports swept the month of April, made possible by Elliott’s wins at Texas (4/4) and Darlington (4/11) in the NAPA Chevrolet. 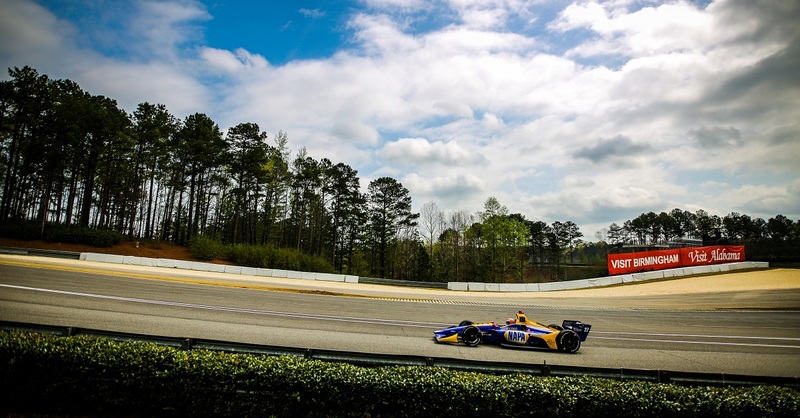 “Overall it was a decent race for us. 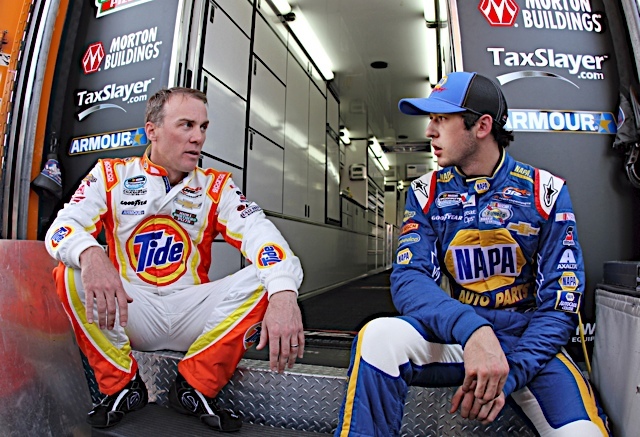 At times I thought we were pretty good and at times I thought Greg (crew chief) made some good changes. From where we started the race to where we ended up, I was really proud of that. There were a lot of positives to take away from tonight, especially a JRM teammate (Harvick) getting to victory lane.